Hello from Japan! I had wanted to do up one or two posts to auto-post while I'm on holiday, as I've quite a few Christmas creations to share. However, I was busy right up to the day of departure, so it did not work out the way I had intended. I did managed to get the photos uploaded for this post, planning to type it out if I had any free time on my trip. I finally found some time to update as these few days we are just relaxing and enjoying the snow and onsen, after a hectic and tiring one week of theme park and sightseeing. I did not managed to make any Christmas bentos so far, I do have some from past years and you can check them out over here. 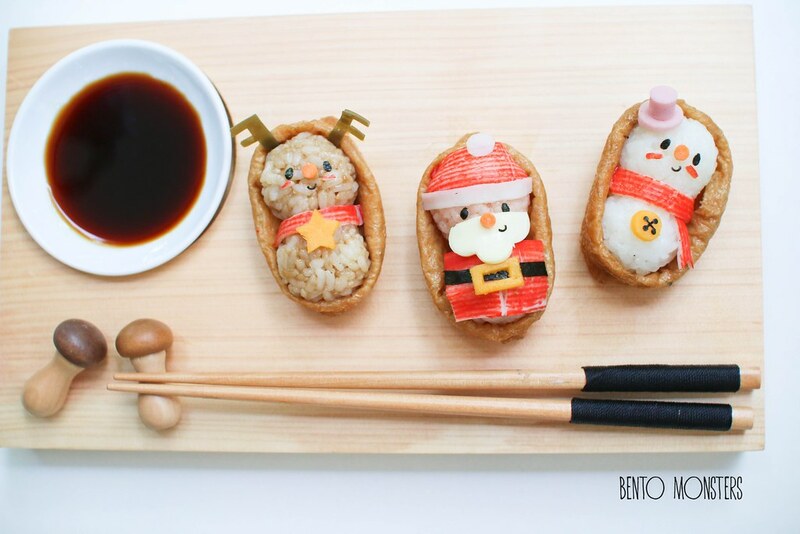 The first food art I'm sharing today is a set of Christmas sushi. 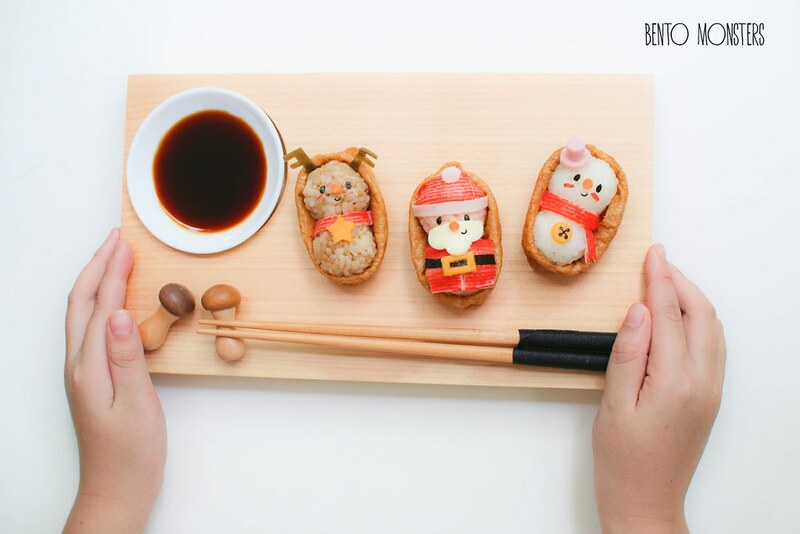 I'm quite happy with how they turned out, I've made similar snowman sushi before, and this time, I added in Santa and reindeer as well. 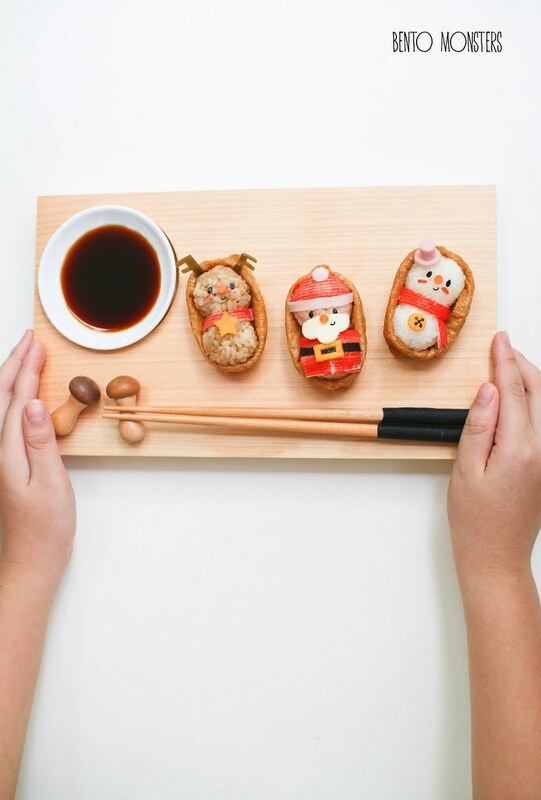 The sushi are mainly made from rice stuffed into aburaage, details were done using ingredients like cheese, nori, crabstick, Kombu and fish sausages. I've served them on a sushi board but they can be packed for bentos too. 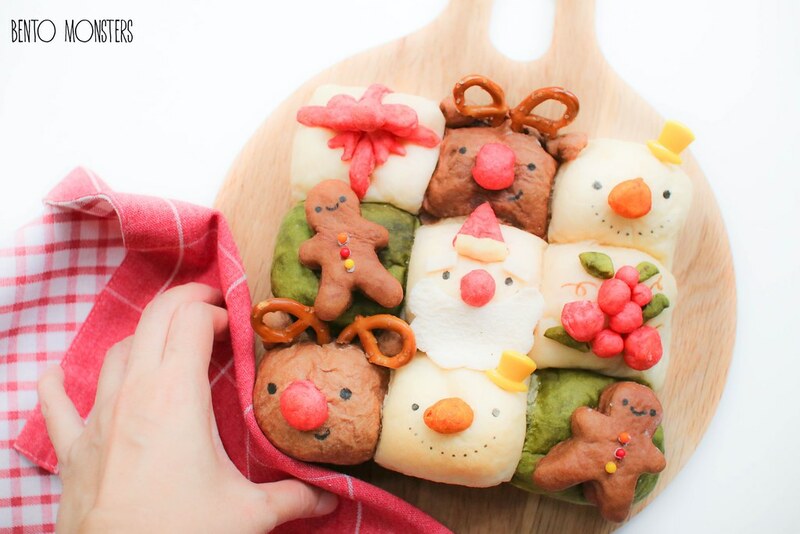 I also baked Christmas themed chigiri-pan. Chigiri-pan or pull apart bread buns are quite fun to make. 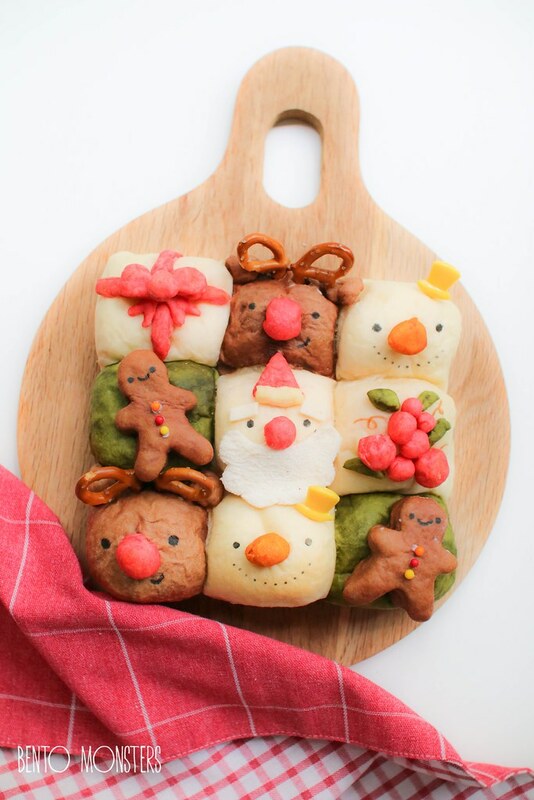 For this, I made snowman, Santa, reindeer, reindeer, gingerbread man, present and berries. I used cocoa powder and matcha powder for the brown and green respectively. I used food colourings for the rest of the colours. Just stocked up on vegetable powders, will have to try them out when I'm back. I know some of you want to recipe for these, but I'm not able to share as I was still experimenting so I did not take down the exact measurements. 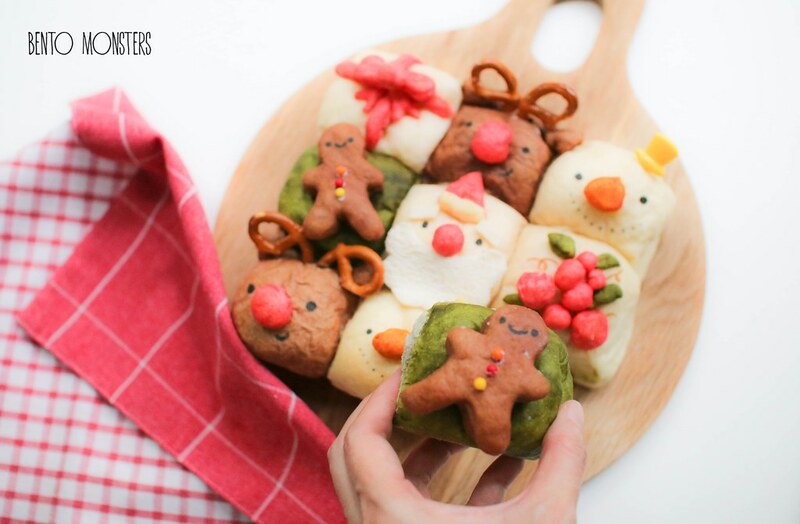 This was actually the first version of the Chrismas bread buns I made, but I was not happy with it. I wanted to attempt it again with some changes, but could not find the time to do so, looks like I will have to try to attempt this next year. Love them all! 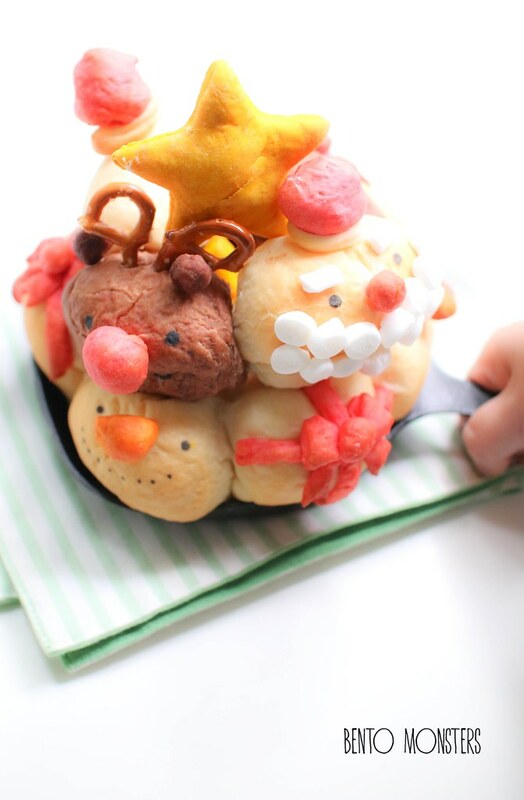 And I love that last photo of the Christmas pull apart bread too, looks great to me. Enjoy your trip!